Leadership and leading account for a high percentage of the educational areas I have focused on in my adult life. My first real leadership experience came during college through involvement in extracurricular actives. Since then, it seems that every interaction I have in leading and being led gives me new insight on how to do it better in the future. Throughout this time, I have developed my own leadership style, which I believe is simply an extension of my personality. One of the key ingredients in my style has been to encourage the heart – a statement I first learned while participating in Sigma Nu’s LEAD Program, which draws from The Leadership Challenge. I have always known the power of encouragement, but it wasn’t until about five years ago that I truly understood the impact. 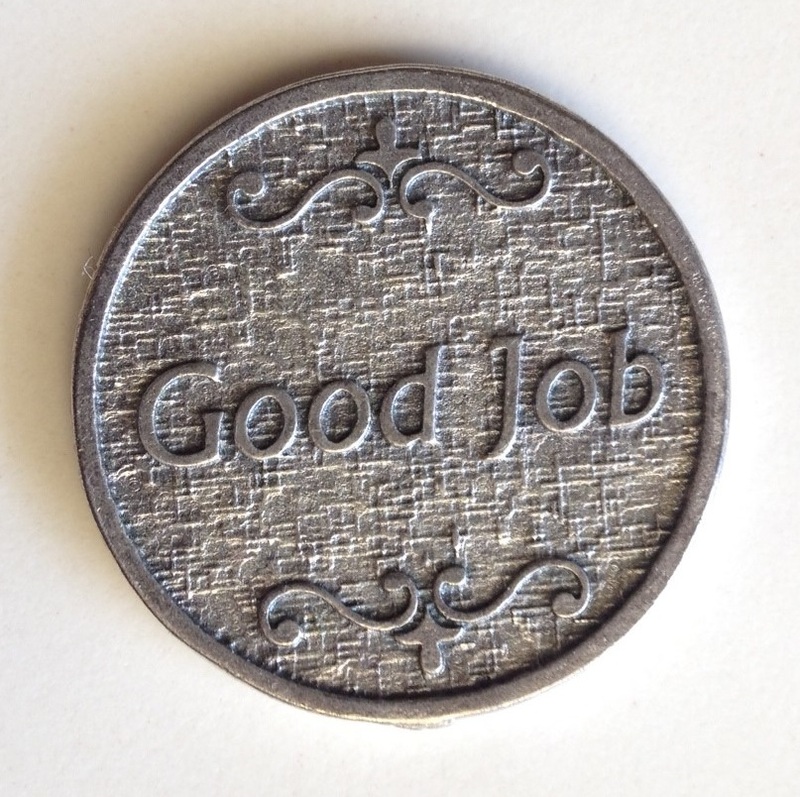 Someone who I worked for, respected and admired, gave me a coin with the words “Good Job” imprinted on the front and more specific words of encouragement on the back. This coin was something he was given and passed along to me. The act of giving me an item of significance to recognize my efforts still affects me today; the coin sits on my desk as a reminder and source of motivation. What did this do for me? It made me continue to give 100% in my work and individual projects. The second impact it had on me was redefining how I could encourage the heart of others. This is not simply saying “good job” to someone on the team – it is so much more. I have laid out what I feel encouraging the heart really means – in action. Be specific. Don’t just say “good job,” but actually tell him or her what was good about it and how their contribution affected the outcome of the project. Refer back to it. When similar work is needed again, ask the person who did well for their advice and support. However, be careful not to make give a negative consequence by assigning them more work or forcing them outside their comfort zone. Give credit where credit is due. When giving a report, especially in public, be sure you recognize the individual(s) for their contribution. Without being given that coin, would I have made encouraging the heart such an important part of my leadership style? Probably. However, I use that experience of someone encouraging me and pay it forward to others who I feel do good work. My hope is that cycle will continue. Please share your own example of being encouraged with a comment below.